A report issued by the Commons Public Accounts Committee (PAC) has found that the Queen’s finances are not as healthy as they would prefer and have recommended the Queen’s courtiers take money saving advice from the Treasury. Apparently there is just £1 million left in reserve having had a balance of £35 million in 2001. 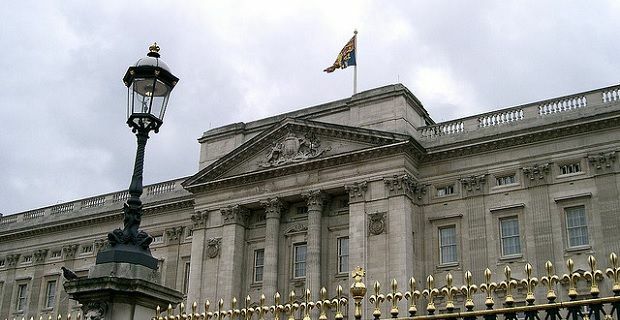 As a result of these financial issues many of the Royal palaces including Buckingham Palace and Windsor Castle have been left in a state of disrepair with many needing urgent maintenance. According to the report 39% of Royal buildings were below what was believed to be an acceptable condition when assessed in 2012. The committee have urged the Treasury to protect the royal household from “further damage and deterioration”. Margaret Hodge, the Labour chairman of the committee stated "We believe that the treasury has a duty to be actively involved in reviewing the household's financial planning and management - and it has failed to do so”. Clapped out boilers contribute to a whopping bill of £774,000 per year and it is reported that staff have to catch rain in buckets to prevent valuable art and antiquities from being ruined. Despite this Hodge noted that the Royal Household “has not even costed the repair works needed to bring the Estate back to an acceptable position”. The Sovereign Grant began funding the Royal Household in April 2012 and the Civil List and various Government grant which had previously funded it was scrapped. A Buckingham Palace spokesperson said that "A significant financial priority for the royal household is to reduce the backlog in essential maintenance across the occupied royal palaces” they noted that the income in the Royal household had doubled since 2007 to £11.6 million. However the PAC are not content with that and have suggested that the Royals need to cut costs amid rising gas and waste costs in the household. They also suggested the need to continue to increase their income questioning why Buckingham Palace is not open for longer periods during the year which would generate more revenue into the dwindling Royal purse.